Released on: July 24th, 2018. Frankie Madison (Burt Lancaster) and Noll ‘Dink’ Turner (Kirk Douglas) were bootleggers in the prohibition days, making money hand over fist running illegal hooch on the streets of New York, until the cops caught on. Frankie went to jail but Dink made his escape, using the proceeds from their endeavors to open up a posh nightclub that has been quite profitable over the years. Fourteen years later, after Frankie has done his time, he shows up at Dink’s club expecting his old comrade-in-arms to honor the ‘fifty/fifty’ agreement that they had in place before he was behind bars. Dink’s got other ideas. Adapted from the play by Theodore Reeves and directed by Byron Haskin (who did War Of The Worlds, From The Earth To The Moon and Robinson Crusoe On Mars as well as a half dozen episodes of The Outer Limits), I Walk Alone is a cracking film noir with some great cinematography from the prolific and talented Leo Tover (who has such classics as Journey to the Center of the Earth, The Revolt Of Mamie Stover, The Day The Earth Stood Still and Dead Reckoning to his credit). 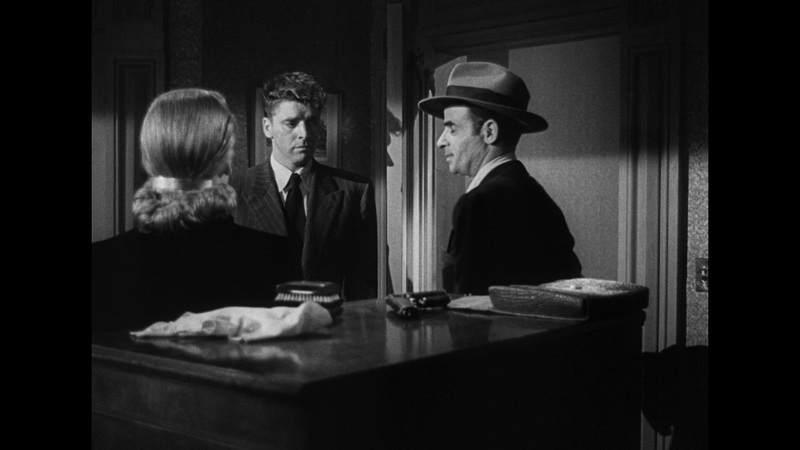 It’s tense and atmospheric, benefitting from a strong score composed by Victor Young (who also scored Johnny Guitar, Gun Crazy and The Quiet Man) that heightens both the drama and the tension laid out for us by Haskin’s strong directing. 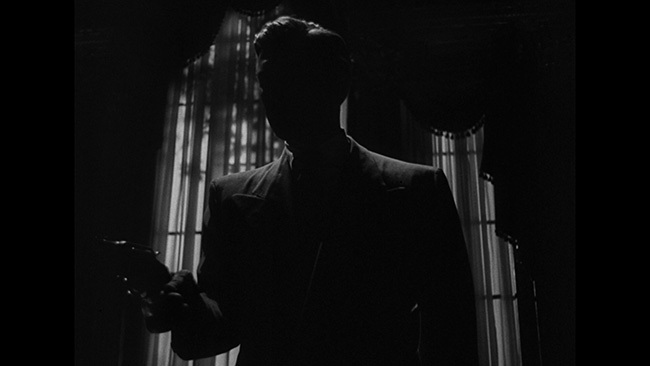 And while the production values are reason enough to want to check this out, there’s a lot more to this than just great shadowy camerawork and some cool music. 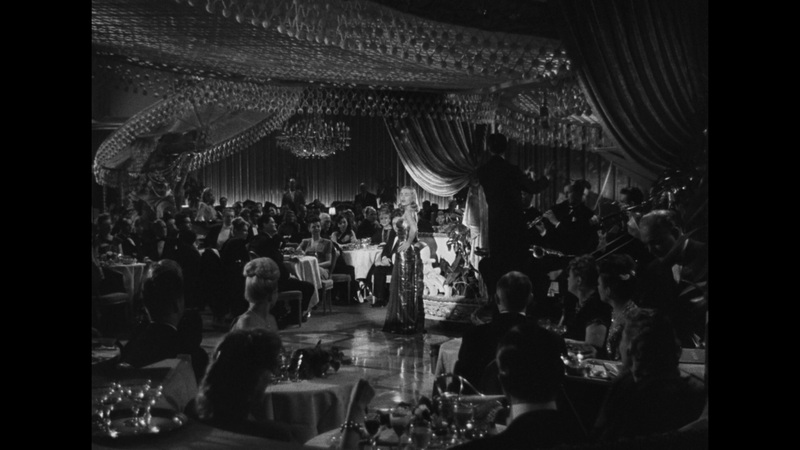 The performances here really stand out. This would be the first of a few films that Burt Lancaster and Kirk Douglas would make together, and they’re fantastic together in this picture. 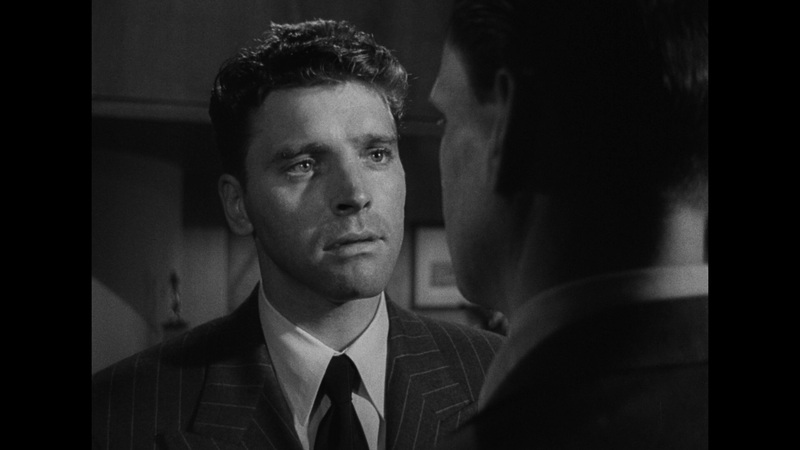 Lancaster’s Frankie served his time and paid his debt to society and now that he’s finished paying for the crime he was completely guilty of, he’s trying to make it on the straight and narrow. Lancaster plays this part perfectly. He’s tough, worn down by the world, but noble and only after what is owed him. Douglas, on the flip side, plays Dink as a total snake in the grass and he does a damn good job of it. He’s got a greasy charm to him that suits the part well, able to turn it on and off depending on who he’s talking to and why. Seeing these two do their thing together is just an honest to God treat for anyone who appreciates their particular acting styles. 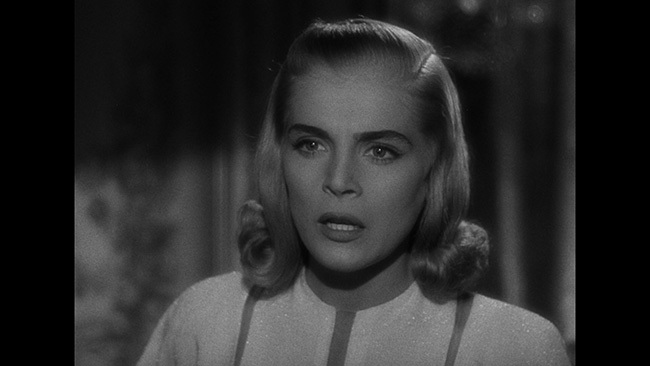 Supporting work from the alluring Lizbeth Scott is also appreciated. She’s quite good here, she not only looks fantastic (the camera loves here) but able to more than back that up with some solid acting. 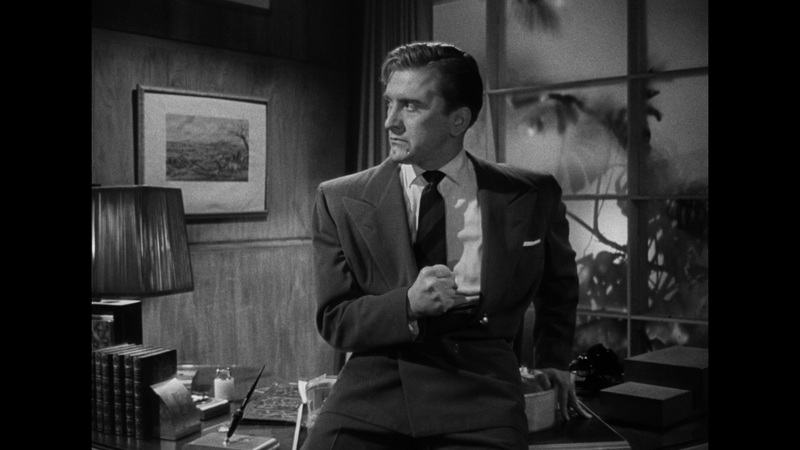 She and Lancaster have nice chemistry together, though her scenes with Douglas are also strong. 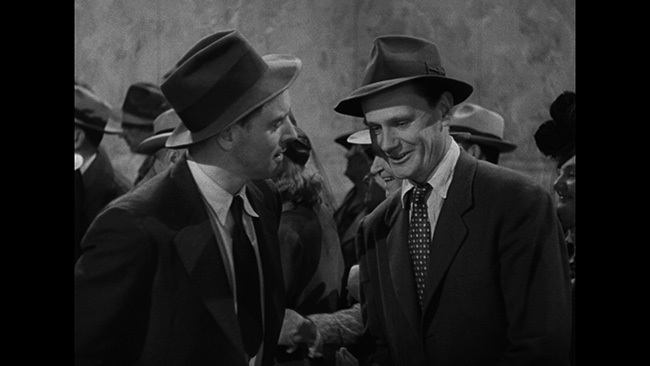 Wendell Corey is also in fine form, and there are some appreciable subtleties to his work here that do a nice job of letting the audience in on his true feelings about all of this. This might be a case of a movie where the stars are more important than the story in many ways, as the plot is a bit on the predictable side, but when the acting is as great as it is here it hardly matters. 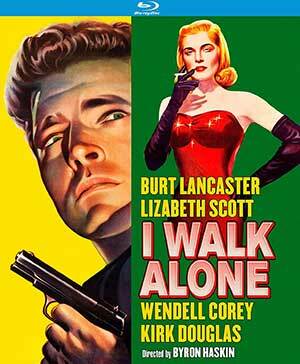 I Walk Alone should appeal to anyone who appreciates Lancaster, Douglas or Scott or who just enjoys classic style film noir. Kino Lorber presents I Walk Alone in its proper 1.37.1 aspect ratio in a transfer taken from a 4k scan of a 35mm duplicate negative provided by Paramount Pictures on 25GB disc with the feature eating up just over 19GBs of that space. There are a couple of spots here and there where there’s just a bit of softness and occasional instances of minor print damage and age-related wear, this is, by and large, a really nice-looking transfer. 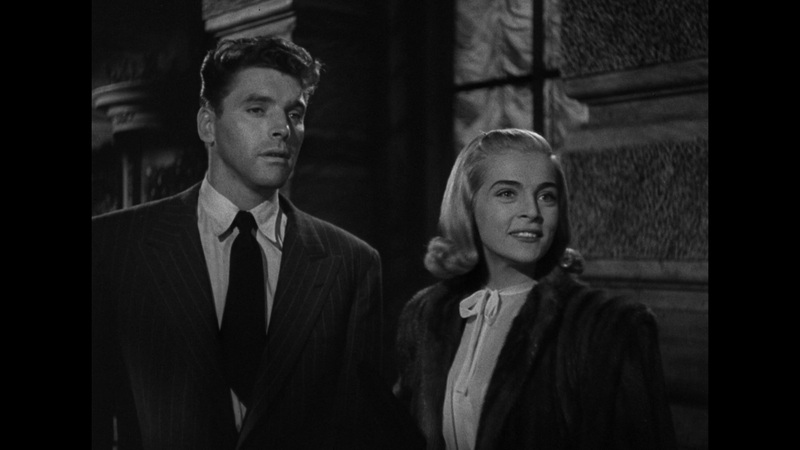 Detail is typically quite strong, though many of the shots where Lizbeth Scott is framed are intentionally soft looking, likely an effort to let us see her the way that Lancaster’s character does. Black levels are nice and deep and whites are clean. 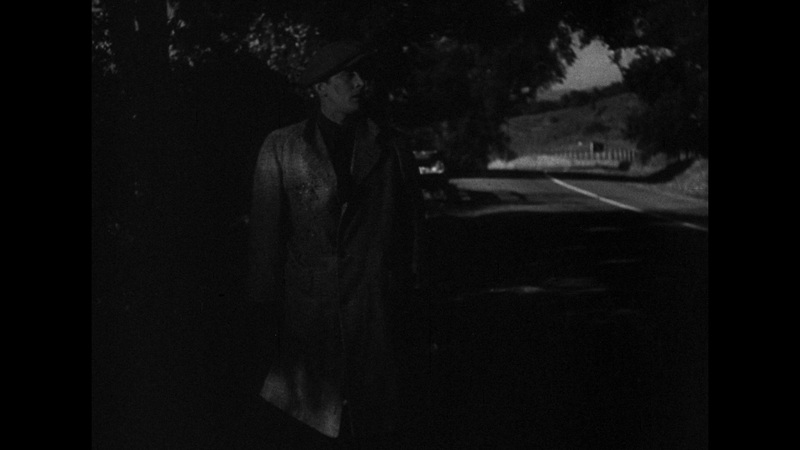 There’s a good grey scale in the middle of that and the disc is devoid of any obvious compression artifacts. The image also looks quite film like, showing a natural amount of film grain and no evidence of noise reduction or edge enhancement. If this isn’t quite perfect, it’s damn good. The English language DTS-HD 2.0 Mono track sounds just fine. Optional subtitles are provided in English only. While range is understandably limited by the source, there’s nothing to complain about here. The track is clean, with no hiss or distortion noticeable at all. Dialogue is always easy to follow and it sounds nice and crisp. The score has better depth to it than you might expect. All in all, a fine mix. The main extra on the disc is an audio commentary track with author Troy Howarth who has clearly done a good bit of research on the film and those who made it. 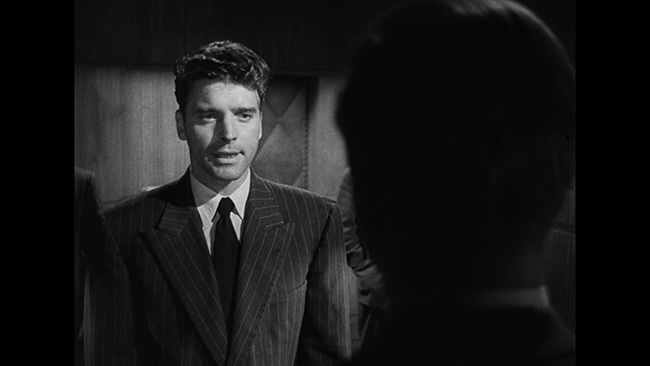 There are instances where the track sort of segues into a ‘Film Noir 101’ class and covers the basics and the history of the genre, which might not appeal to more seasoned fans (but on the flip side, would likely be of interest to those new to the genre) but when he’s covering the film he’s in good shape. 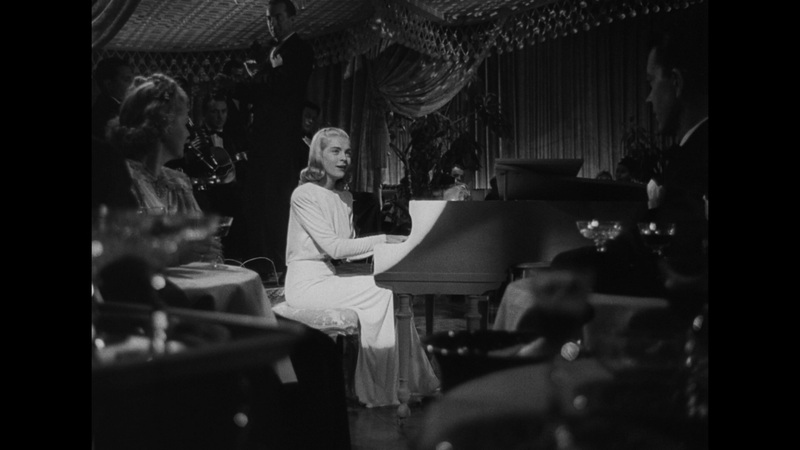 He offers some interesting observations about the performances and the characters, the cinematography and the directing style along with plenty of facts about the cast and crew and the production history of the picture. It’s laid back and casual in its delivery and typically an enjoyable listen. 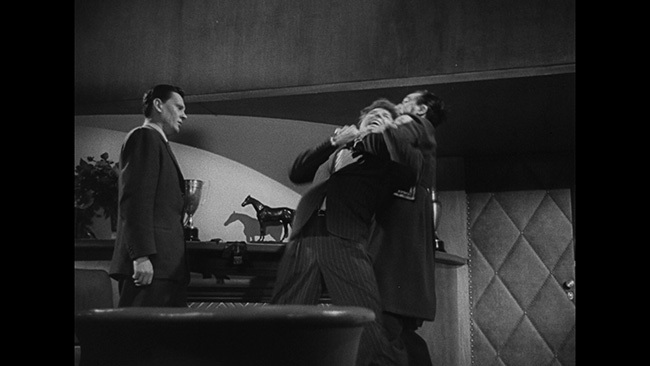 Aside from that, we get bonus trailers for The Devil’s Disciple, Valdez Is Coming, Cast A Giant Shadow, Elmer Gantry, and The Indian Fighter alongside menus and chapter selection. There is no trailer for the feature itself included on the disc. 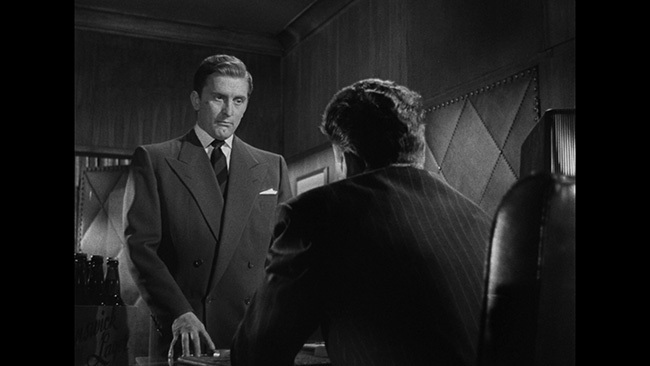 I Walk Alone is an excellent tale of a wronged man looking to redeem himself made all the better by the great performances from Lancaster, Douglas and Scott. 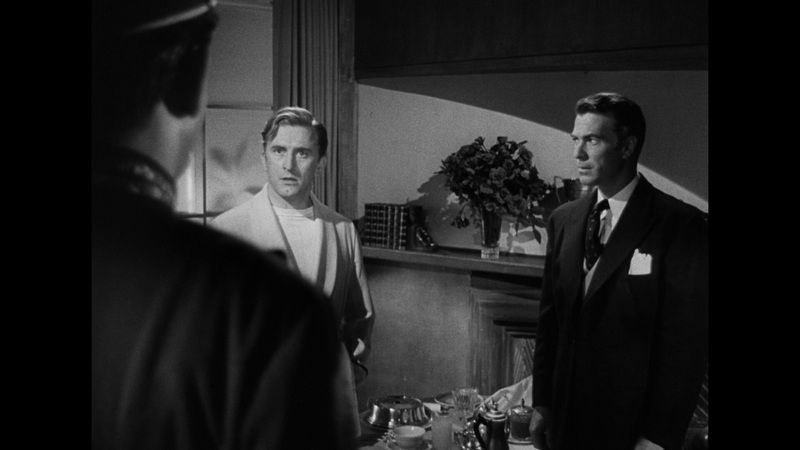 Haskin’s direction is strong and the film is well-paced with some enjoyable twists and strong suspense. Kino’s Blu-ray debut is a good one, presenting the film in nice shape, with solid audio and a decent commentary as its main extra feature. 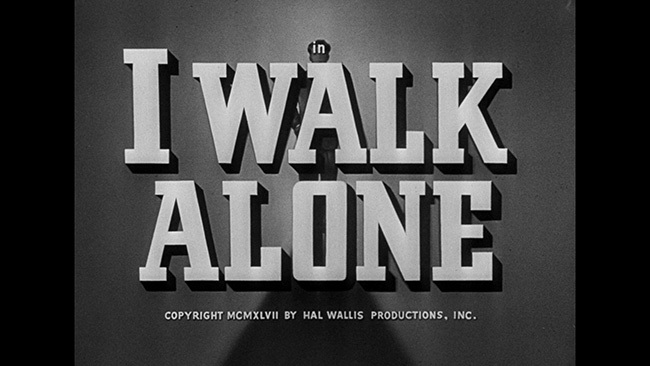 Click on the images below for full sized I Walk Alone Blu-ray scree caps!